With an Introduction and Notes by Dr Tim Middleton, Head of English Studies, University of Ripon and York. In seeking to discover his inner self, the brilliant Dr Jekyll discovers a monster. 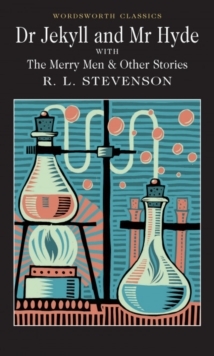 First published to critical acclaim in 1886, this mesmerising thriller is a terrifying study of the duality of man's nature, and it is the book which established Stevenson's reputation as a writer. Also included in this volume is Stevenson's 1887 collection of short stories, The Merry Men and Other Tales and Fables. The Merry Men is a gripping Highland tale of shipwrecks and madness; Markheim, the sinister study of the mind of a murderer; Thrawn Janet, a spine-chilling tale of demonic possession; Olalla, a study of degeneration and incipient vampirism in the Spanish mountains; Will O' the Mill, a thought-provoking fable about a mountain inn-keeper; and The Treasure of Franchard, a study of French bourgeois life.